The KZN Law Society Complaints Committee has found that former president Jacob Zuma’s legal adviser, Michael Hulley, did not act unprofessionally in attempting to exhort former NPA head Mxolisi Nxasana to lie under oath that Zuma had not pressured him into leaving office. Former National Prosecuting Authority (NPA) head Mxolisi Nxasana – in an explosive exculpatory affidavit dated 12 April 2017, and provided in a civil matter brought by Corruption Watch, Freedom Under Law and the Council for the Advancement of South Africa seeking a review of Nxasana’s R17-million “golden handshake” – said that Hulley had wanted him (Nxasana) to “say on oath that I had made a request to the president to vacate my office”. The Constitutional Court on Monday upheld a high court decision declaring Zuma’s termination of Nxasana’s appointment constitutionally invalid. The court found that in this light the appointment of NPA Head, Shaun Abrahams, had been illegal. In 2015, Nxasana accepted a R17.3-million payout to leave, under pressure from the former president. In his 2017 affidavit Nxasana set out that he had never intended to leave office, that he had been pressured by President Zuma to do so and that the president had lied in his responding affidavit that he (Nxasana) had agreed to step down. In 2017, Accountability Now founder, Paul Hoffman SC, lodged a complaint with the KZN Law society with regard to Nxasana’s allegation of Hulley’s conduct in the matter. He attached Nxasana’s affidavit to his complaint that Hulley had attempted to defeat the ends of justice. The society, on 2 May, through its Deputy Manager of Regulatory Affairs, Nadira Harripersad, informed Hoffman that “your complaint and the attorney’s reply have been considered by the Complaints Committee and I have been directed to inform you that the Committee decided that the attorney had not acted unprofessionally”. It seems this might have galvanised the committee; however, Harripersad did not include any documents or record of the complaint, Hulley’s response or the memorandum of the committee giving its findings in informing Hoffman of its decision with regard to Hulley in May. He added that “the findings of the ConCourt today concerning the broader subject matter of our complaint are commended to the attention of the committee”. In his 2017 affidavit Nxasana confirmed that after he had been served with the application by CW, FUL and CASAC in 2015, he had met on October 22 with Minister of State Security, David Mahlobo, at the Beverly Hills Hotel in Umhlanga near Durban “at his request”. Mahlobo was in Durban at the time to speak at an “Integrity Leadership Summit” hosted by Premier Senzo Mchunu. The following morning Nxasana said he had attended a meeting with Hulley and Mahlobo’s Chief of Staff, a Mr Maduna over breakfast at the hotel. Hulley, said Nxasana, had then “proposed that I should work with the president on the matter” and that he had offered to pay his legal costs. Nxasana had declined the offer, saying he wanted to wait and see what the president intended to file. “It was evident to me that Mr Hulley wanted me to say on oath that I had made a request to the president to vacate my office in terms of section 12(8) of the NPA Act. I advised Mr Hulley that I was not prepared to make that statement since that was not what had occurred factually. I reminded him that I was an officer of this court and that I would not mislead the court,” said Nxasana in his affidavit. In June 2015, Accountability Now, in a separate case to the one by CW, FUL and CASAC, lodged charges (CAS No 87/7/2015) of contravening section 9 of PRECCA or alternatively defeating the ends of justice, at the SAPS in Ocean View against President Zuma and Minister of Justice Michael Masutha, also in relation to the R17-million settlement to Nxasana. In the aftermath of Nxasana’s affidavit, Hoffman requested that the investigating officer consider adding further charges of perjury to the original complaint against former president Zuma in 2017. He added that it was now also feasible to charge Hulley separately with attempting to defeat the ends of justice in his attempt to get Nxasana to lie under oath about the “fabricated request” to leave the office of the NDPP. In a follow-up note to the investigating officer, Hoffman said that it was possible to add Hulley as “third accused in the matter currently under investigation in the light of what Nxasana says about his role in the matter”. Hoffman has said that because the Minister of Justice signed the settlement agreement with Nxasana in Cape Town, the relevant jurisdiction is the Western Cape High Court. At the time, Daily Maverick learned that the case, according to the investigating officer, was being handled by now former NDPP, Shaun Abrahams. Due to its “high-profile” nature the docket was under the supervision of Advocate Raymond Mathenjwa who was attempting to get it “trial ready”. Nxasana, before his appointment, which had been recommended by Hulley, had been the president of the KwaZulu-Natal Law Society. In his affidavit Nxasana revealed that Hulley had informed him that his colleagues had recommended him for the position as NDPP. 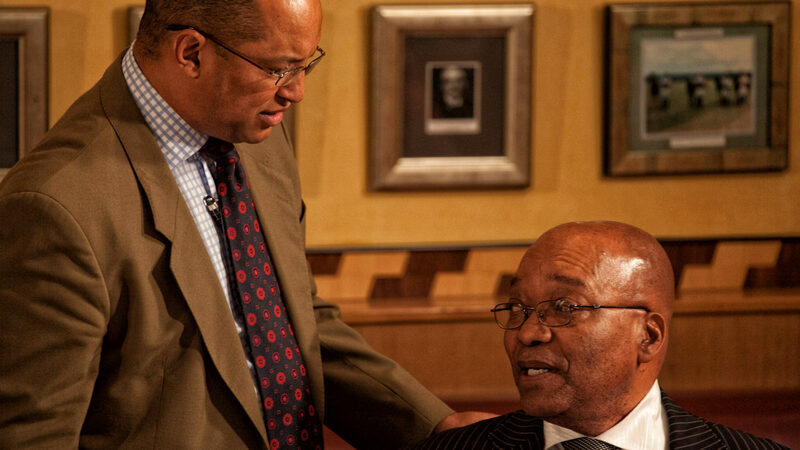 Hulley was one of Zuma’s closest personal confidants and had acted as his personal lawyer and legal adviser since November 2011 when he was retained for around R1.43-million a year for a 40-hour week. On 24 June, 2015 he signed a contract that expires with Zuma’s term of office which ended prematurely in December 2017. Hulley has since “terminated” his services pending issues around legal fees for the former president’s corruption trial.